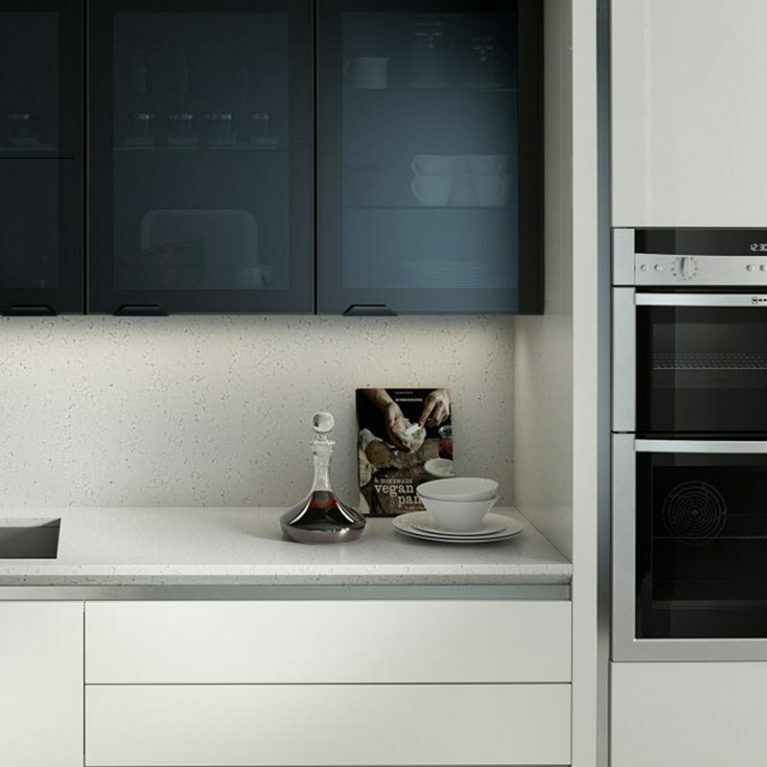 If you’re looking for a kitchen that will add a little light into your home, then you need look no further than the Porter Cashmere – the slickest kitchen in Manchester! 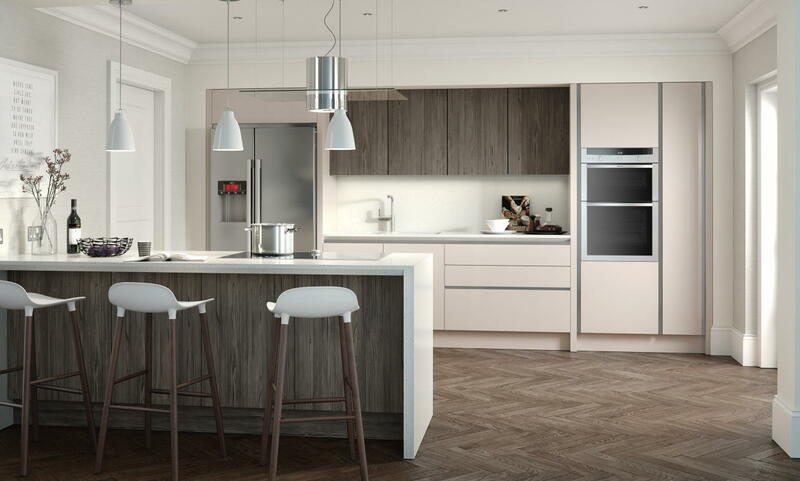 This gorgeous creamy-hued fitted kitchen is complete with cool j-pull kitchen cupboards that allow for a smooth and sleek dining, cooking and entertaining experience every single time. 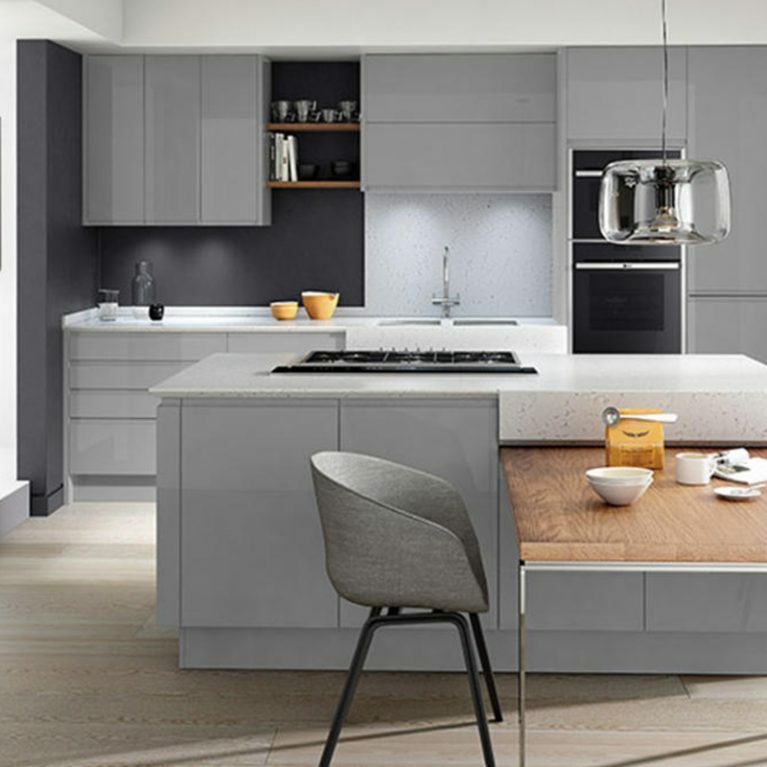 The Porter cashmere contemporary kitchen is a simple yet sophisticated design, maximising the floor space in the kitchen without compromising on storage solutions. 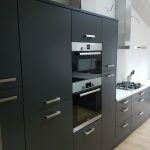 The fitted section along the wall contains plenty of cupboard space both upper and lower, as well as space for your oven fixture, a space for a large fridge-freezer and a built in sink with a striking silver faucet feature. 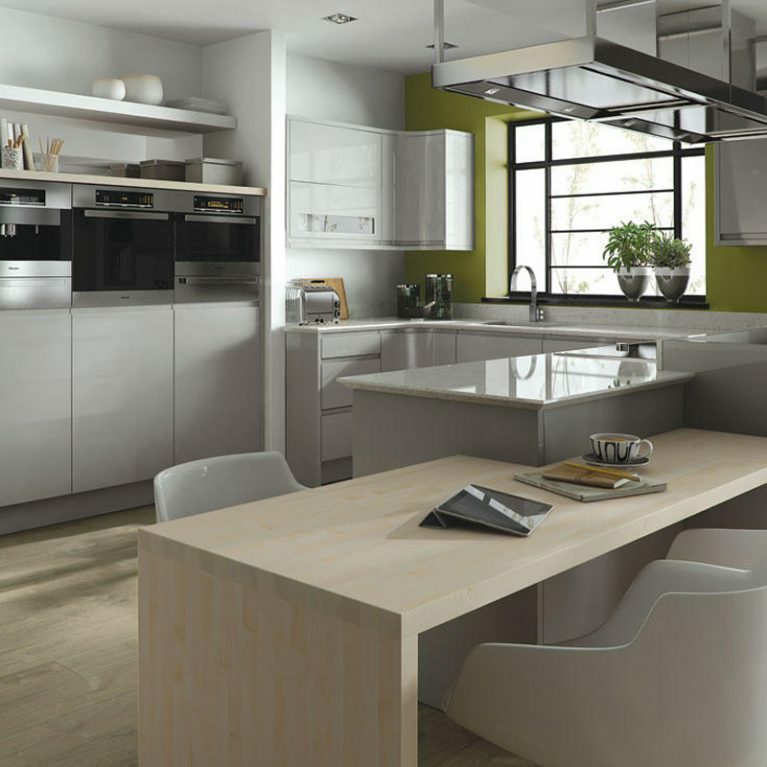 This spacious kitchen is simply perfect for entertaining, and the vast amount of surface space will help you to prepare meals like a pro. 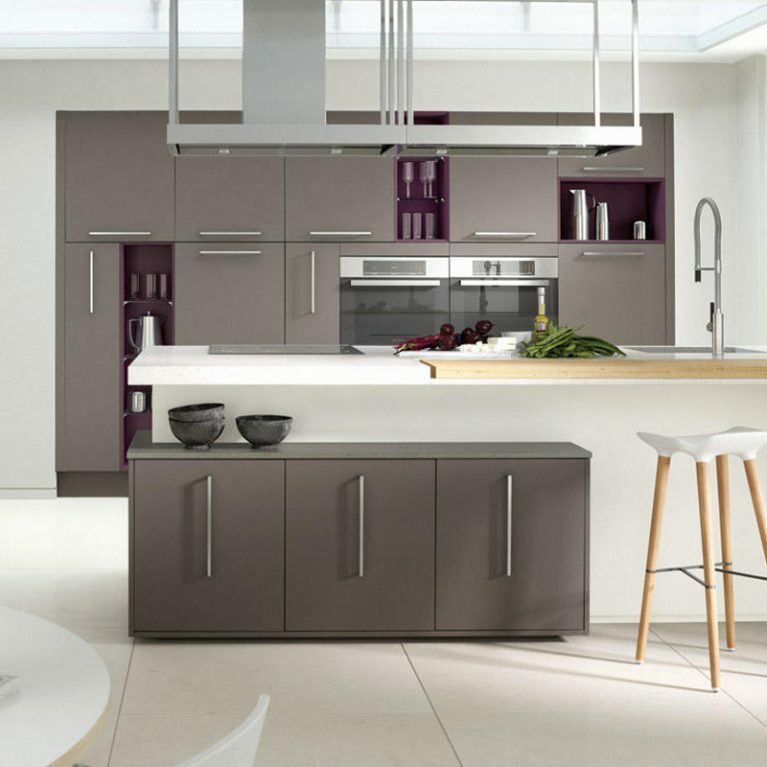 Available in both a matte and gloss finish, you can choose the style which suits you. 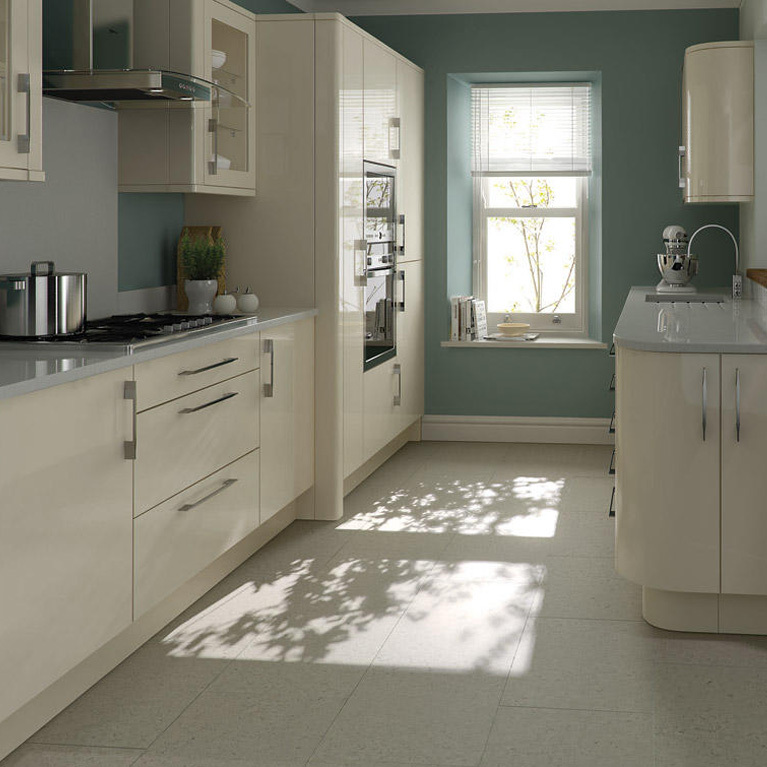 Glossy has more of a light and bright style, whilst matte is more smooth and understated. 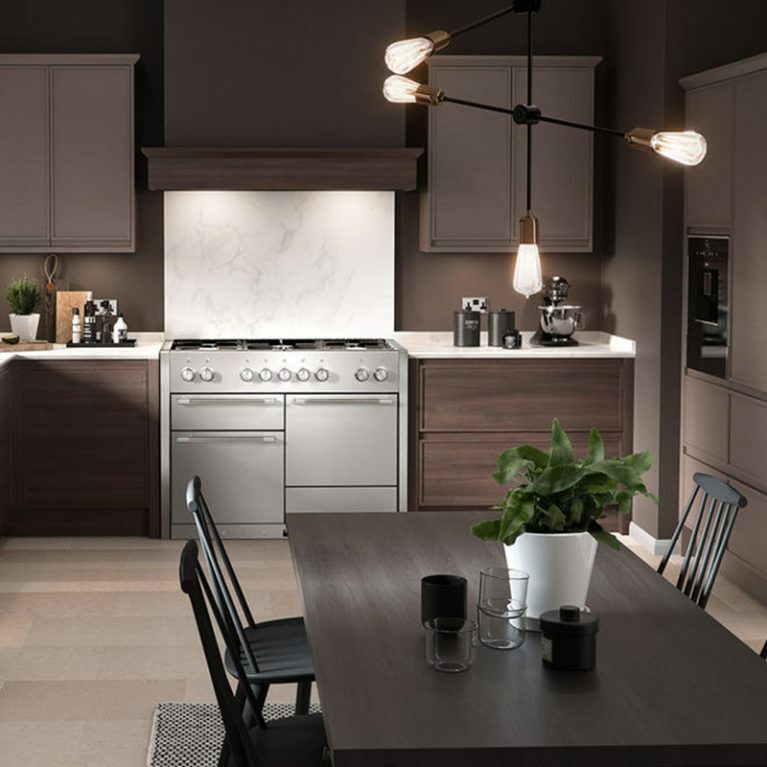 Regardless of which option you choose, the Porter cashmere contemporary kitchen will truly transform your home. 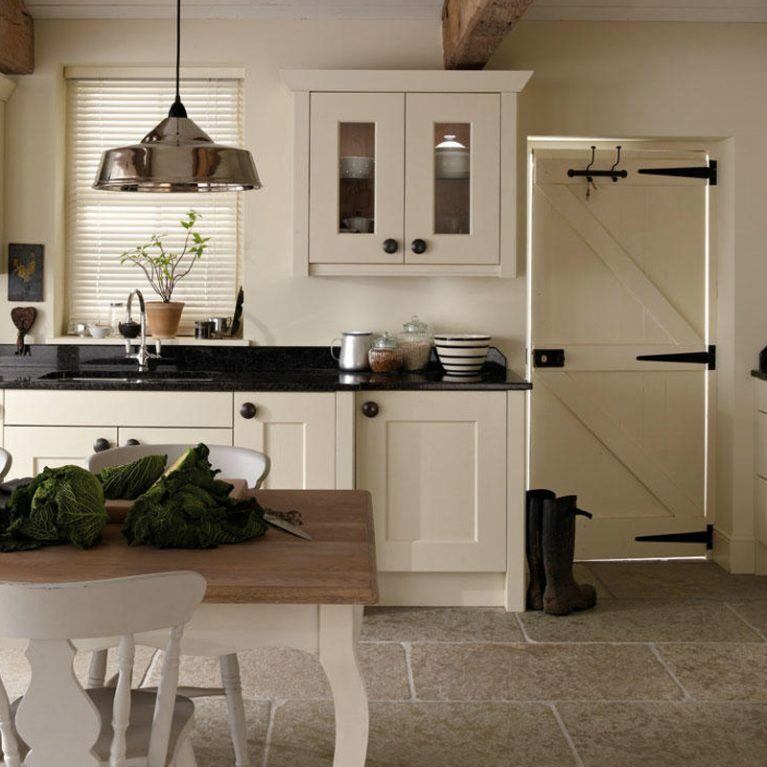 ‘Cashmere’ is a gorgeous off-white shade which will really bring a vibrant feel into the heart of your home. 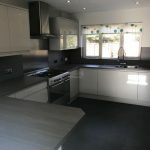 The shade works perfectly with the character graphite doors, and perfectly complements the glossy peninsula breakfast bar area. 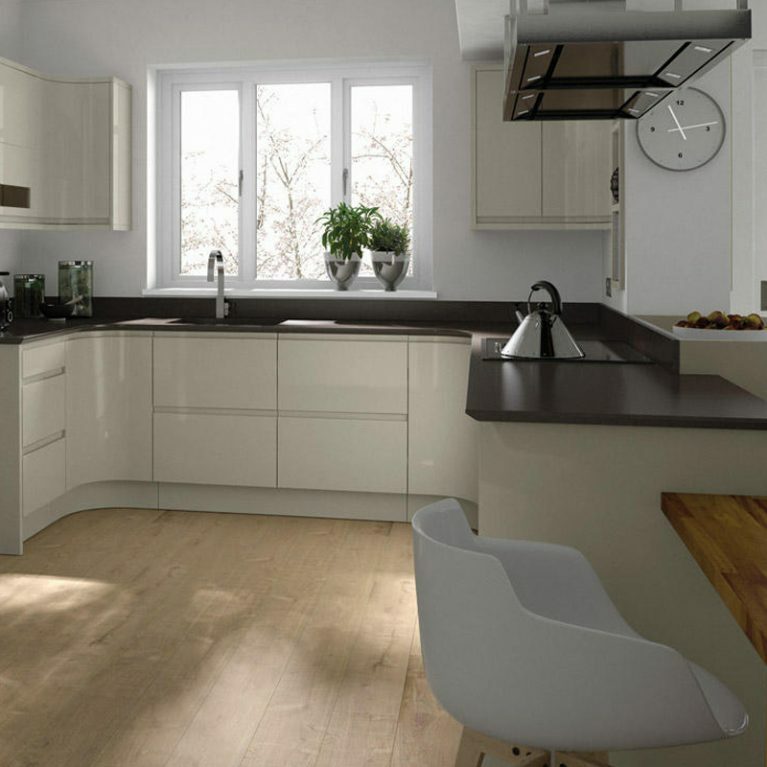 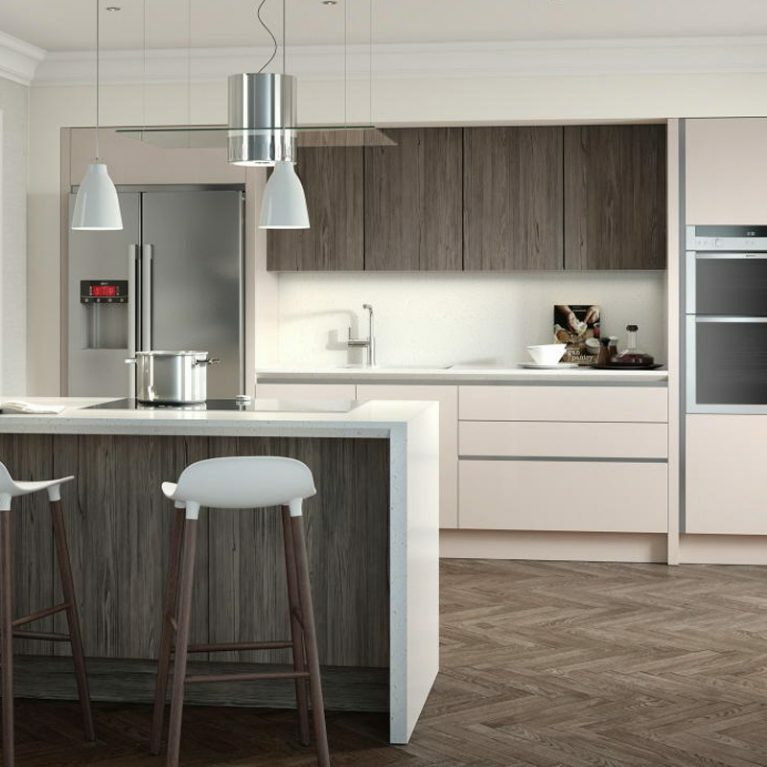 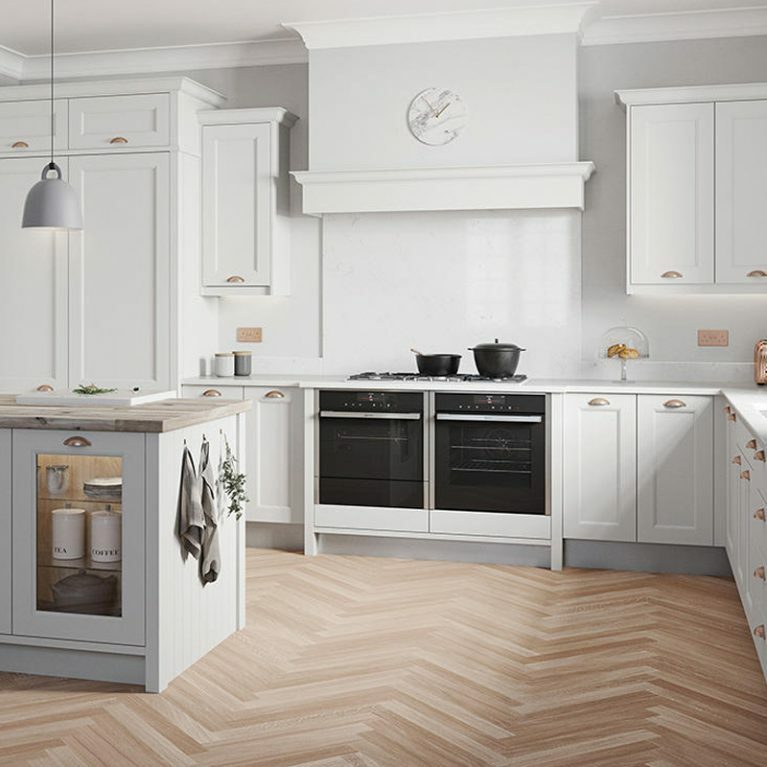 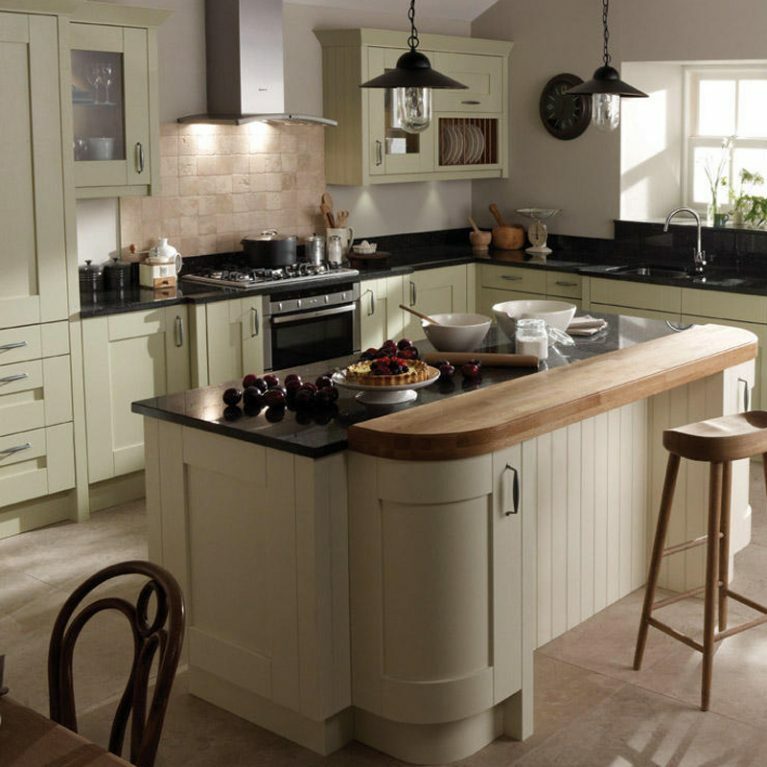 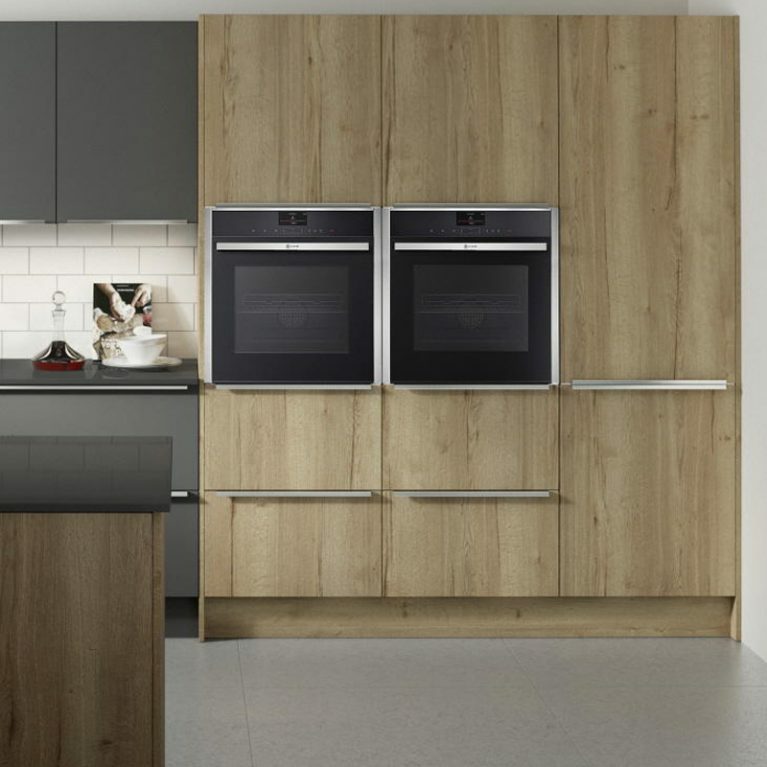 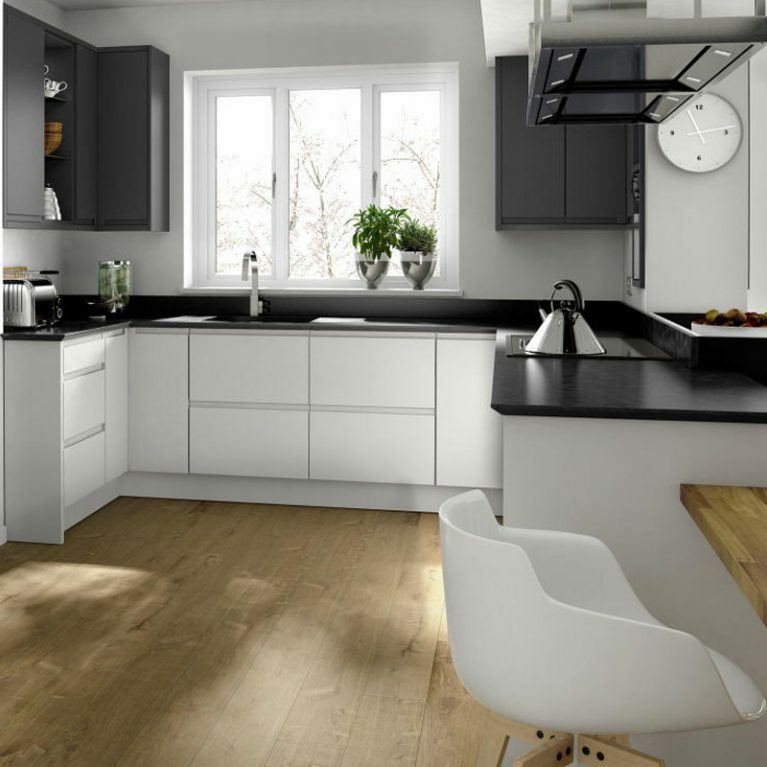 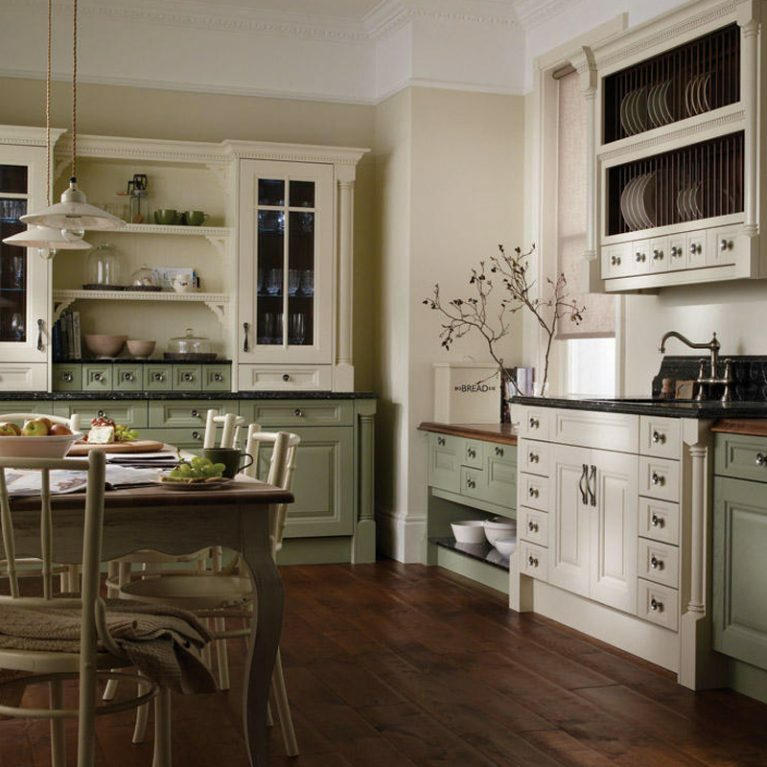 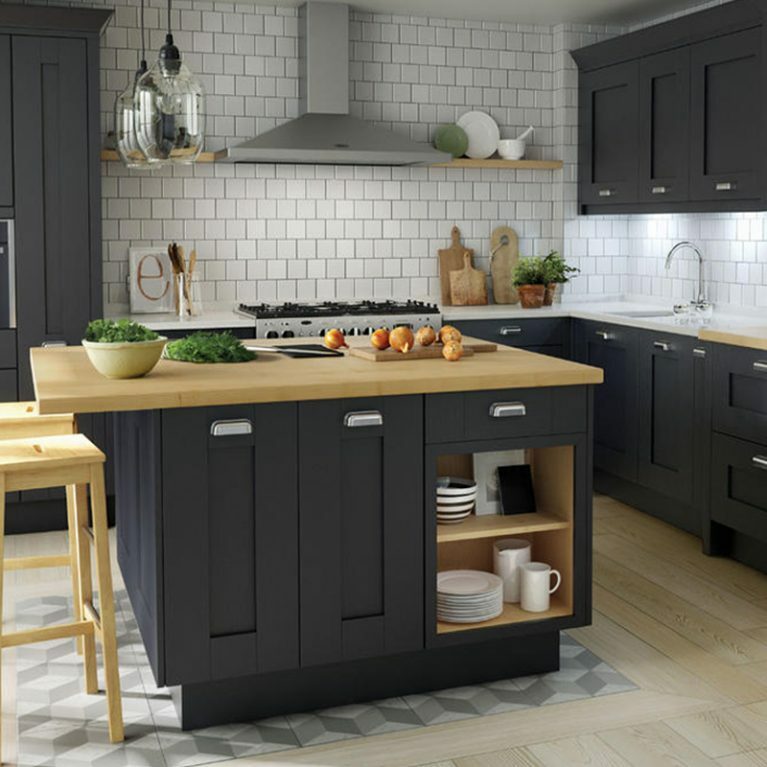 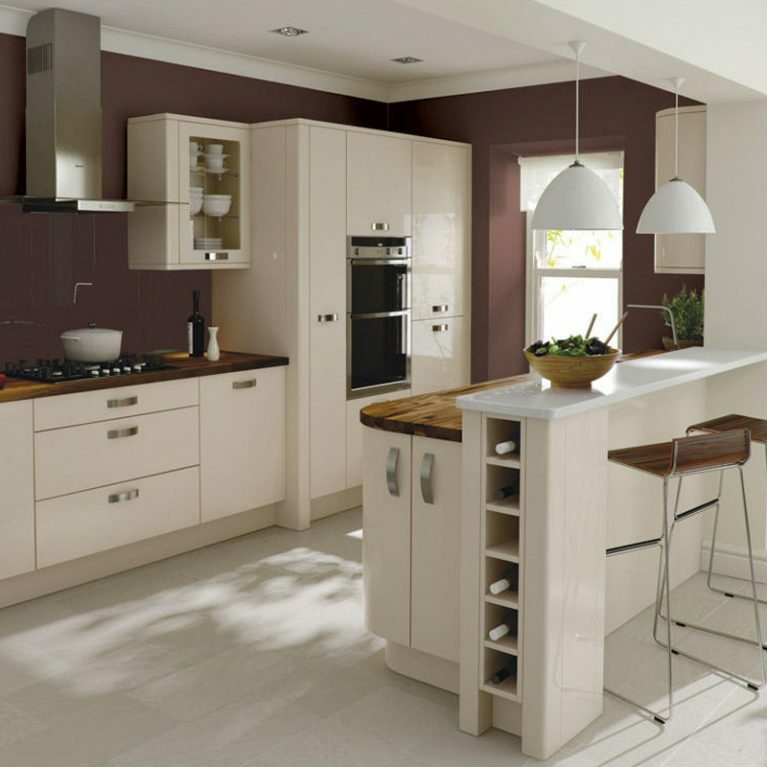 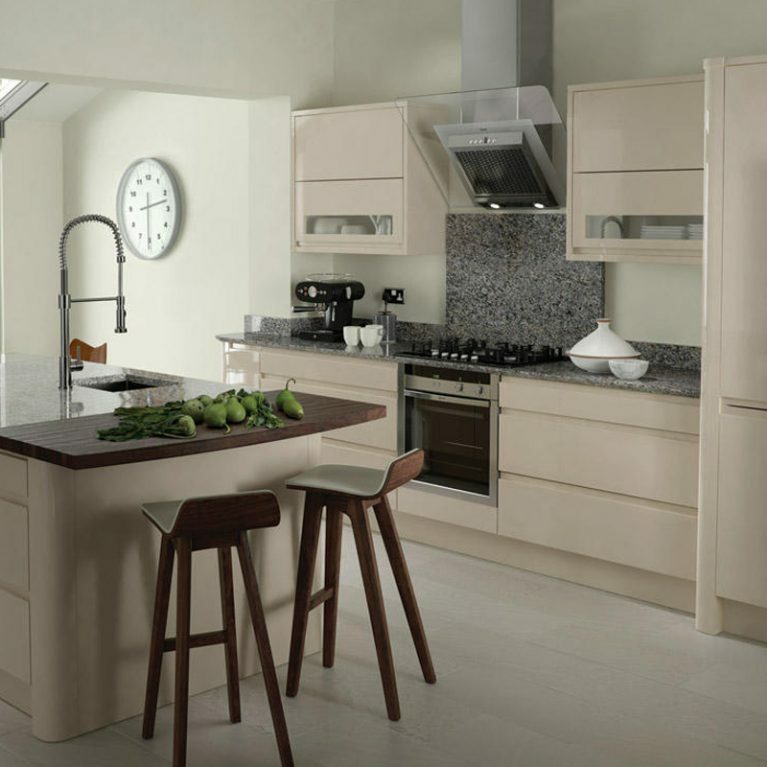 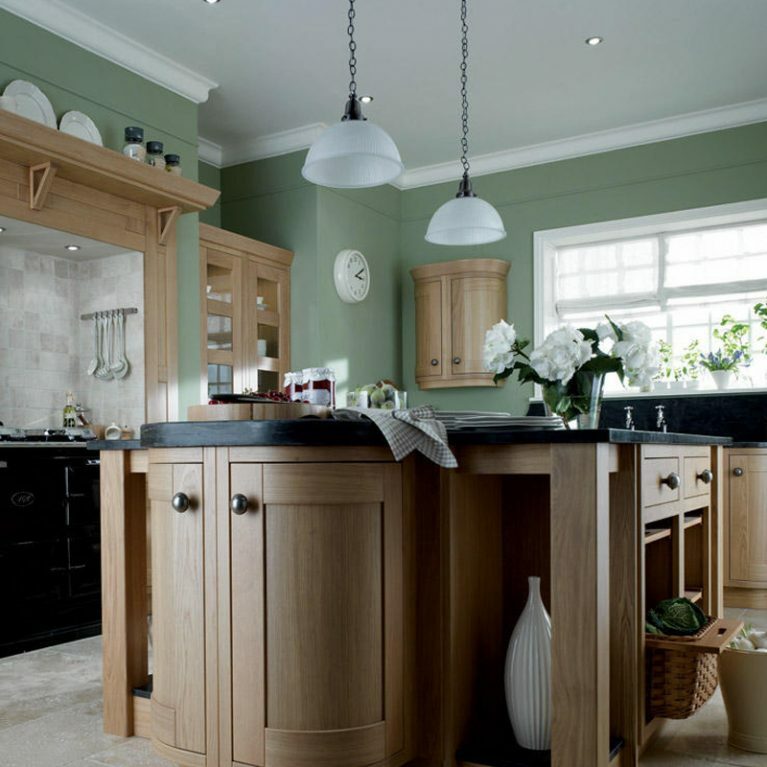 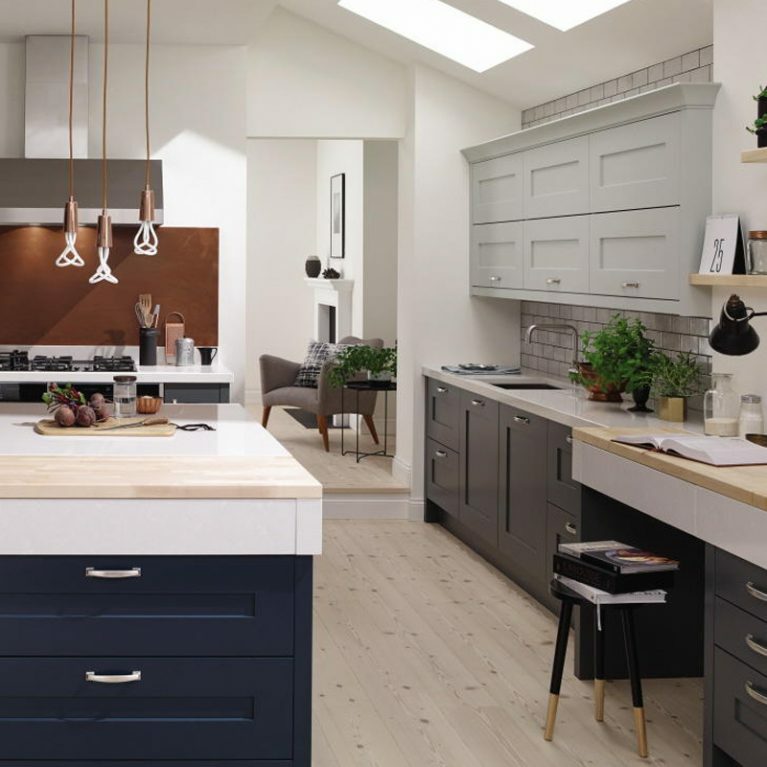 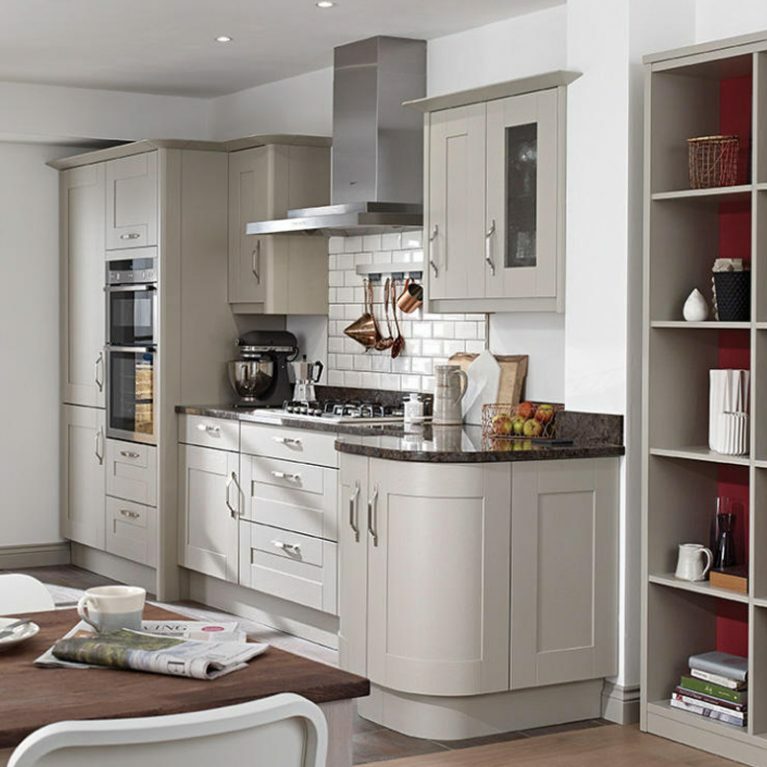 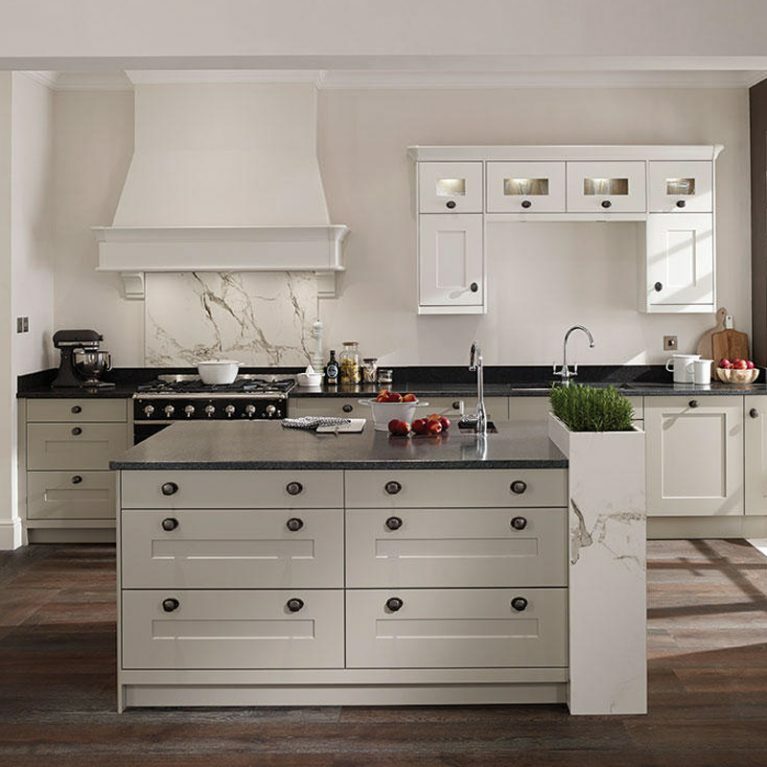 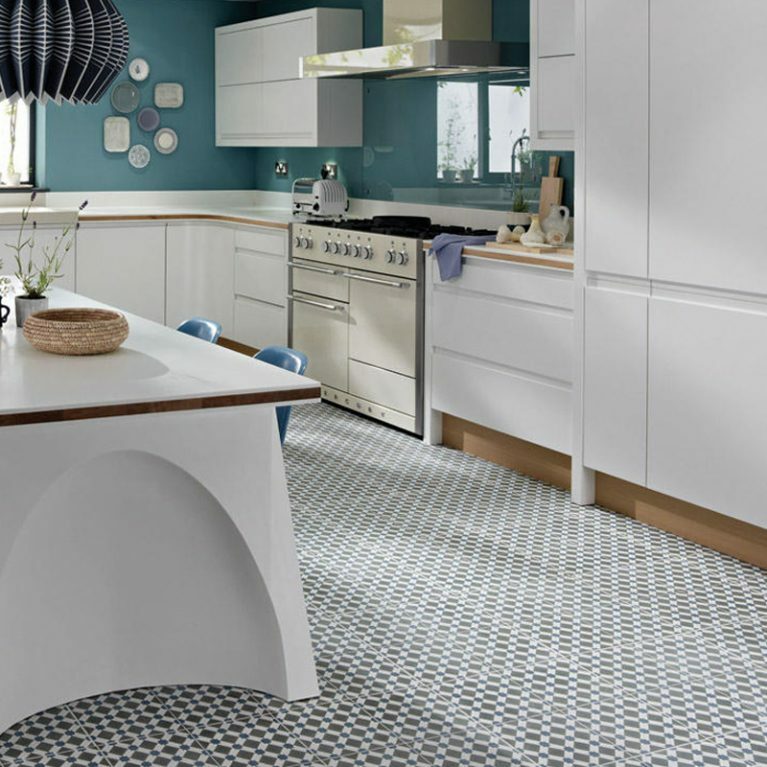 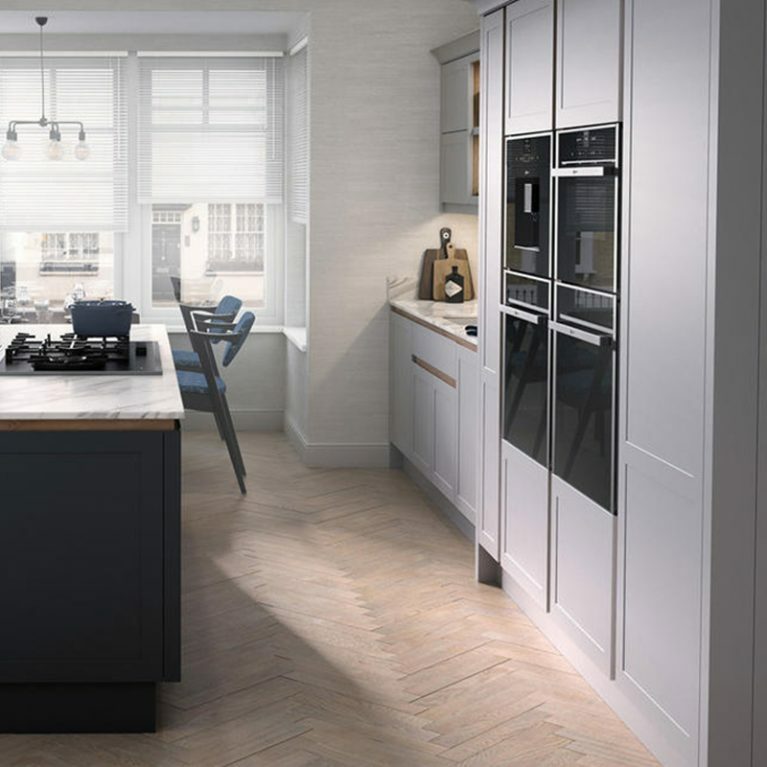 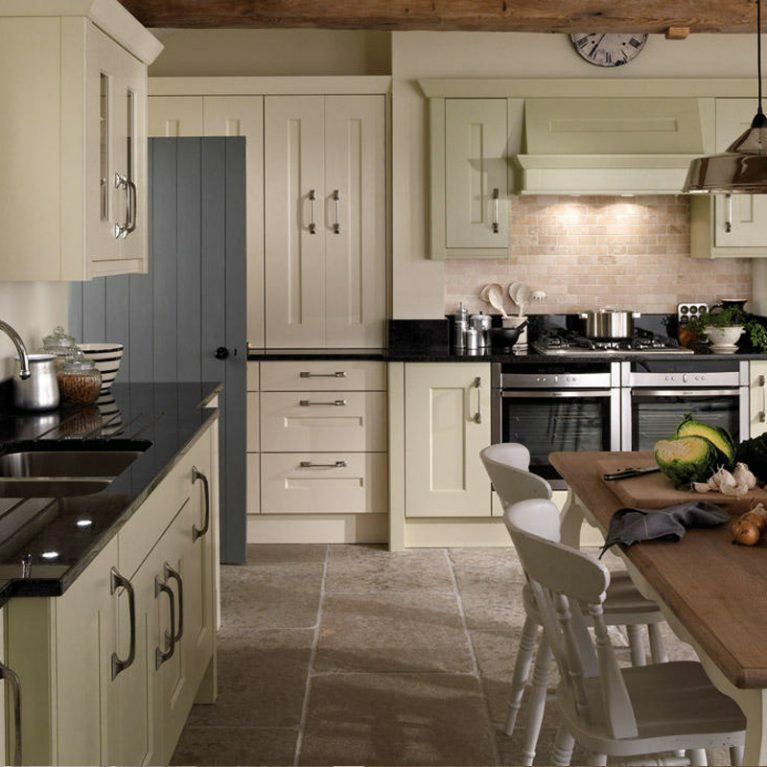 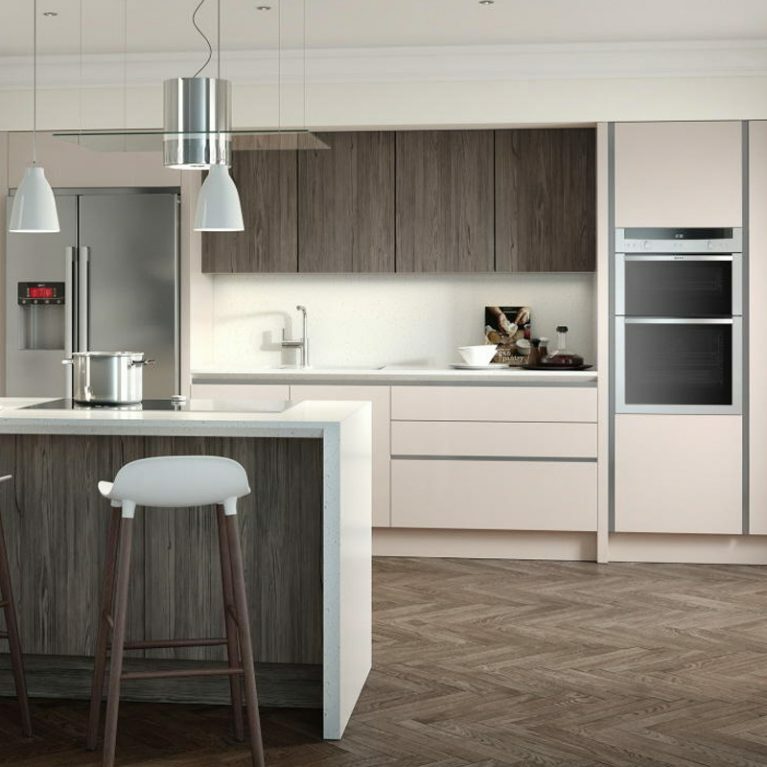 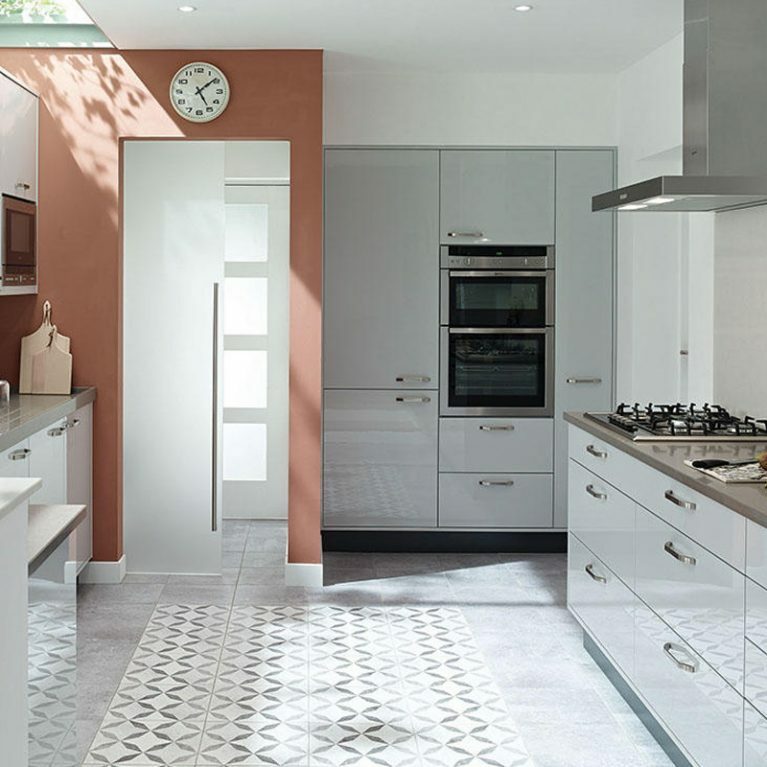 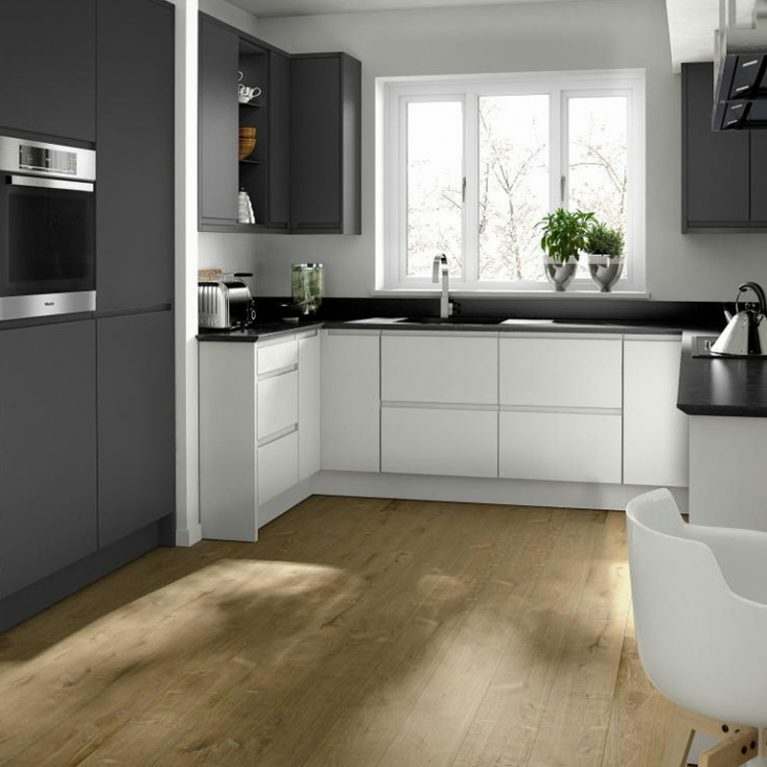 Alternatively, you can choose from a palette of 27 different colours and shades for your Porter kitchen, each of which is available in both a matte and gloss finish, depending on your personal taste. 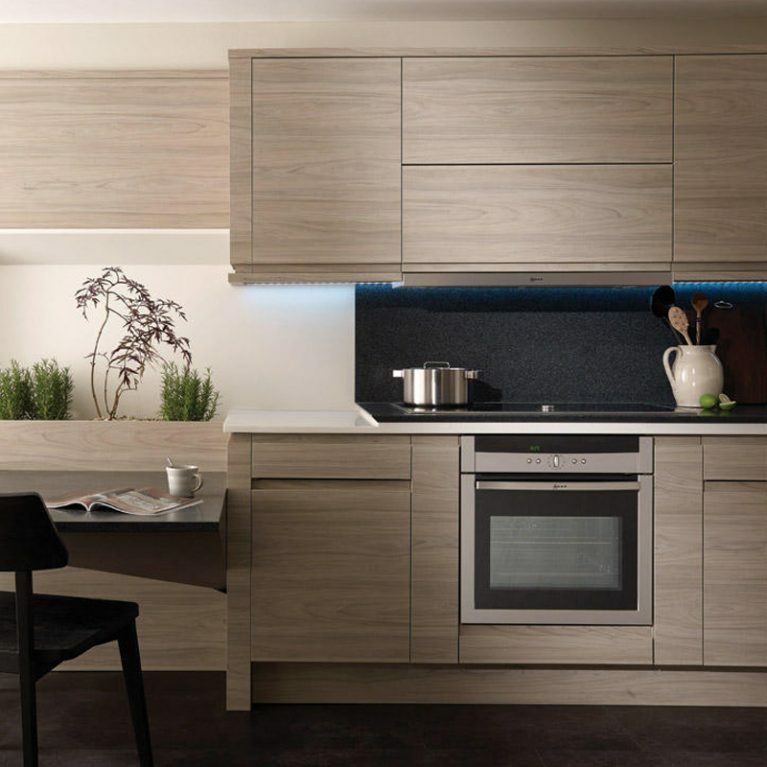 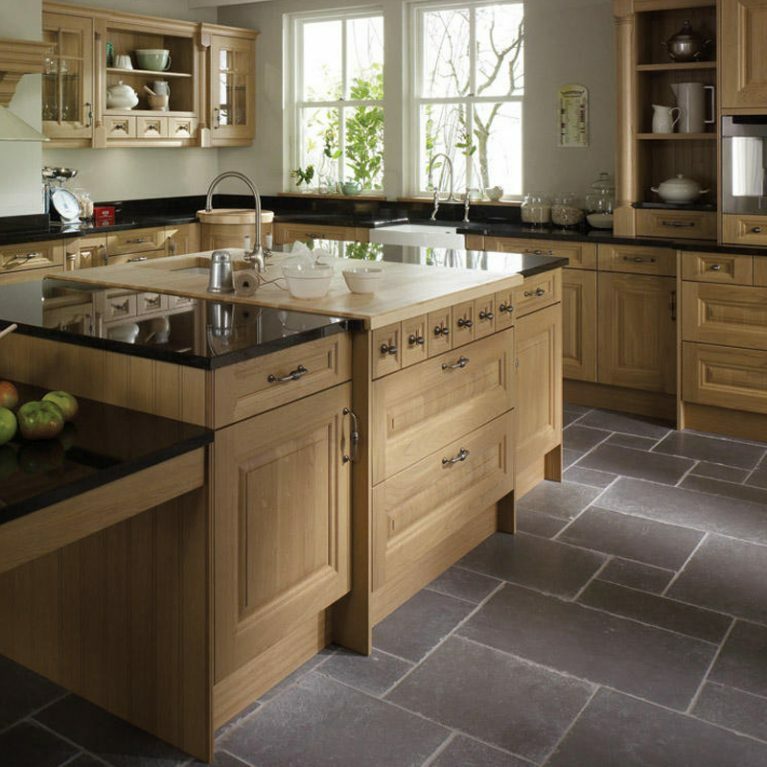 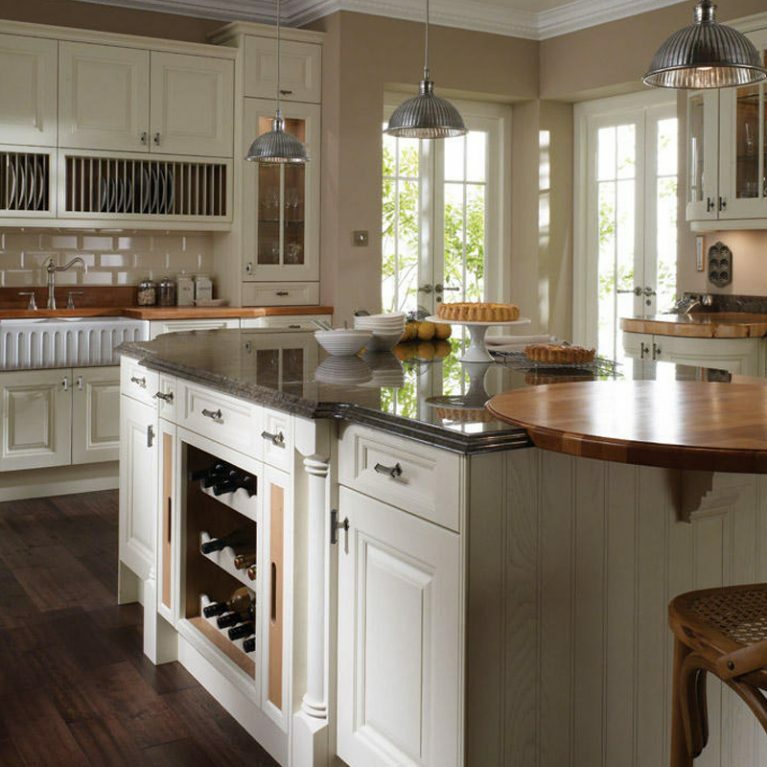 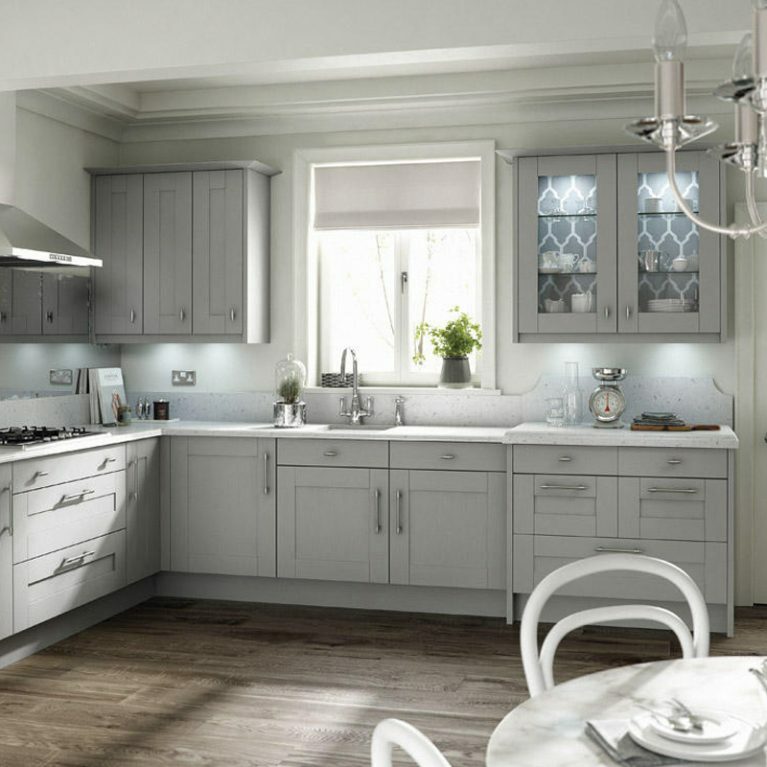 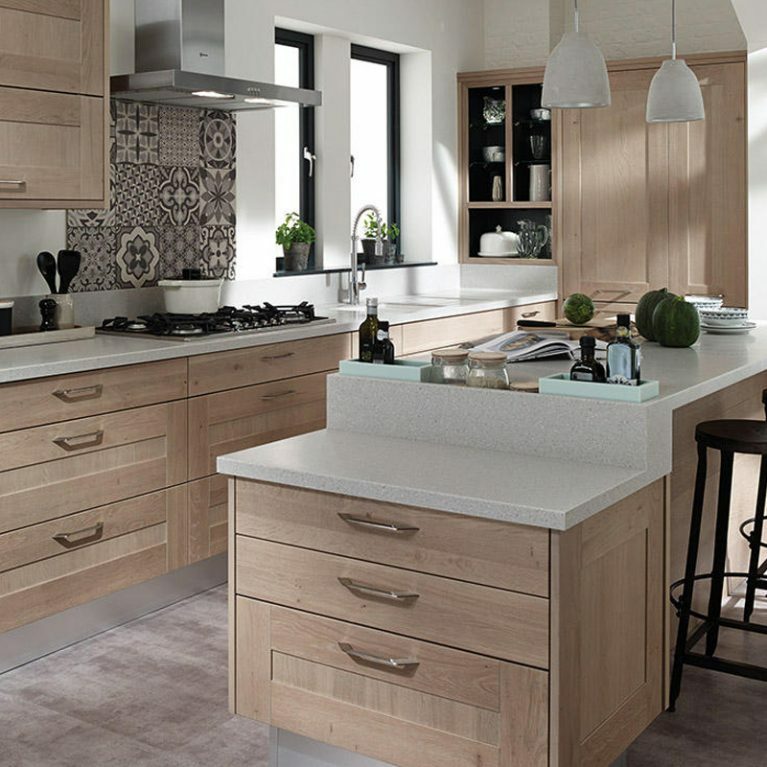 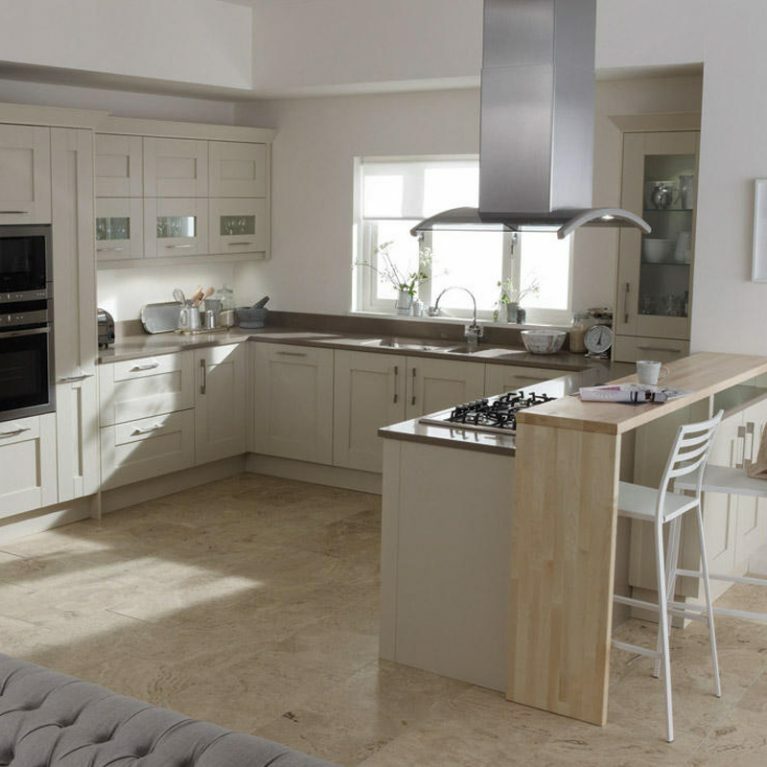 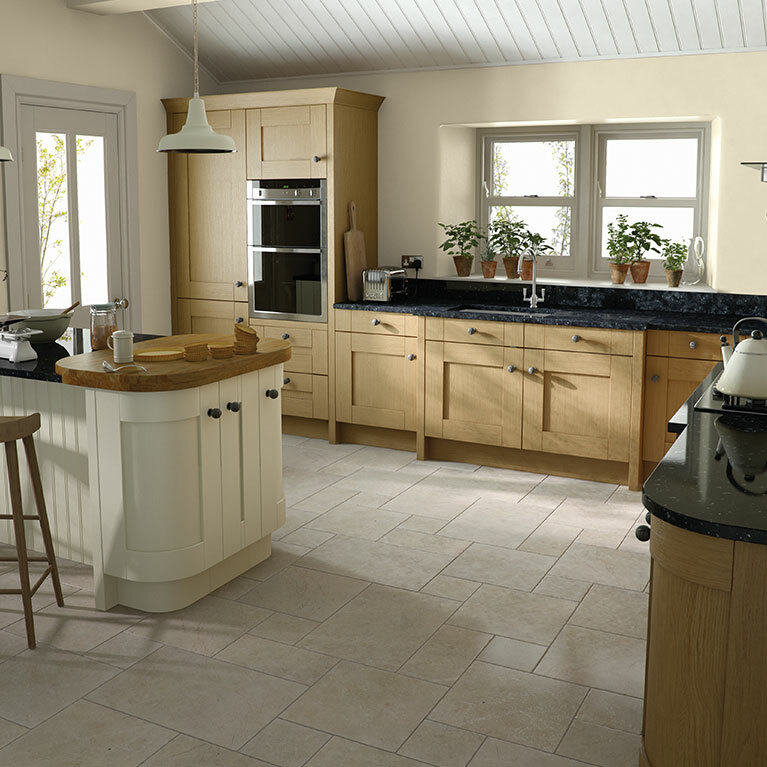 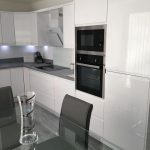 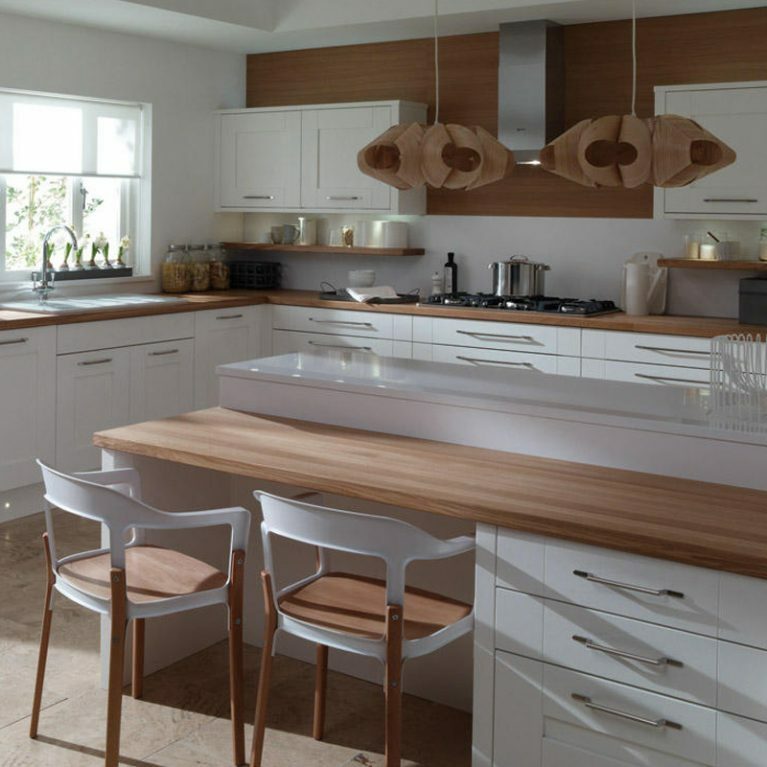 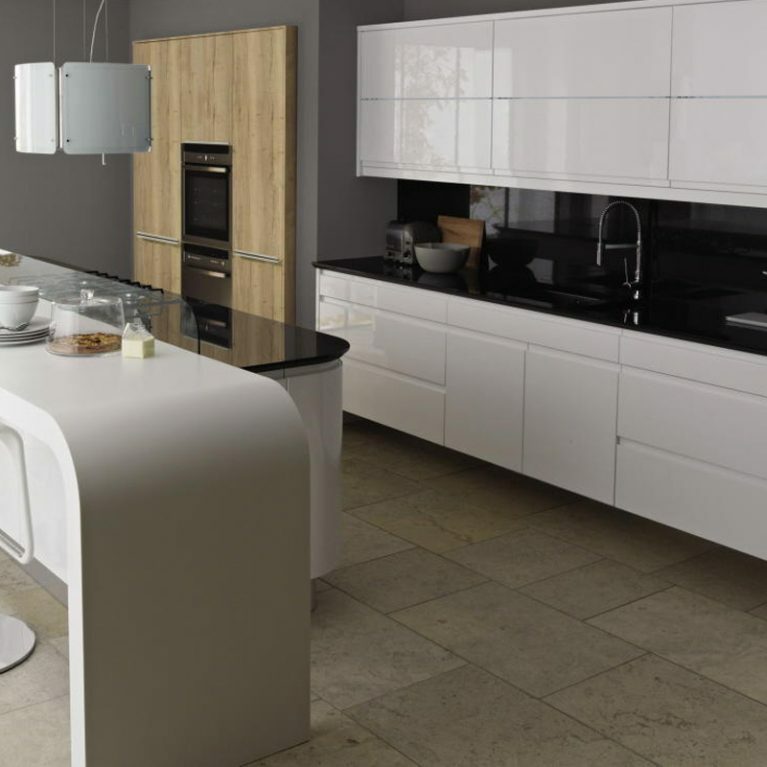 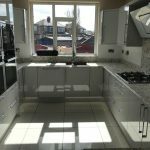 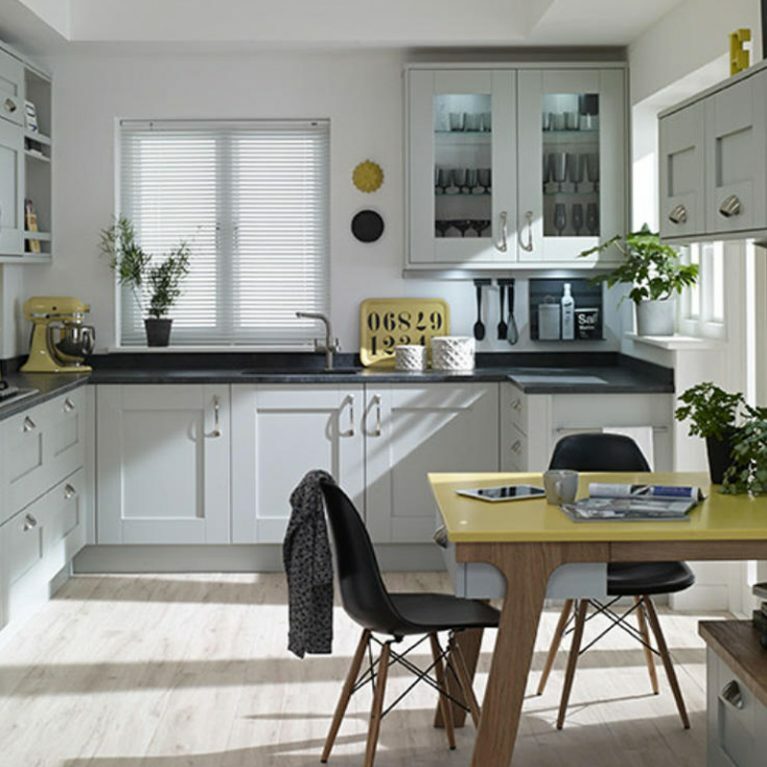 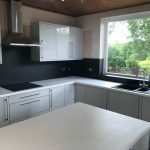 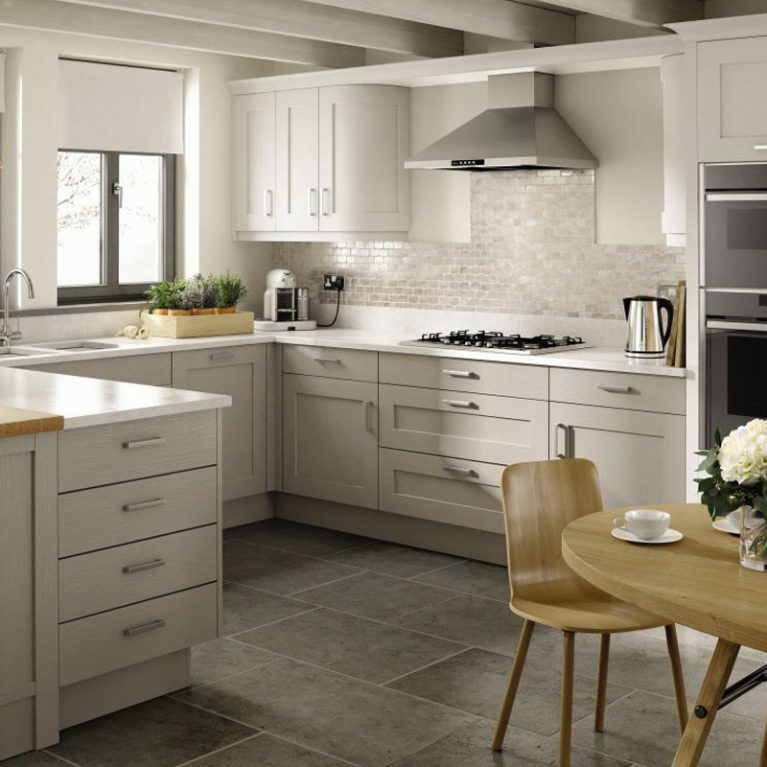 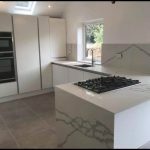 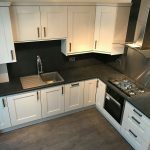 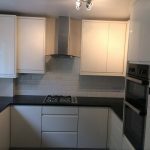 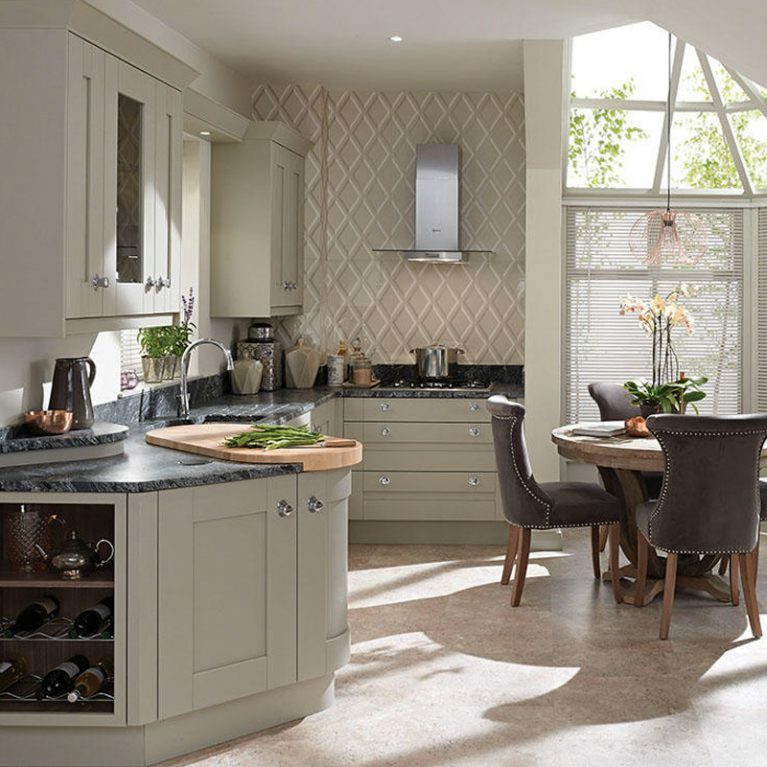 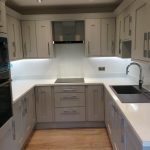 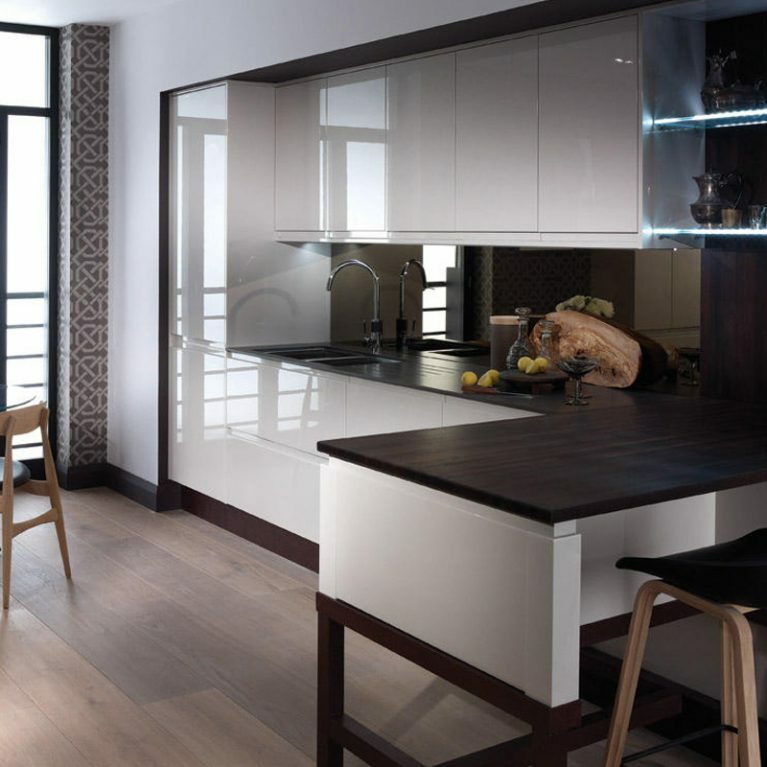 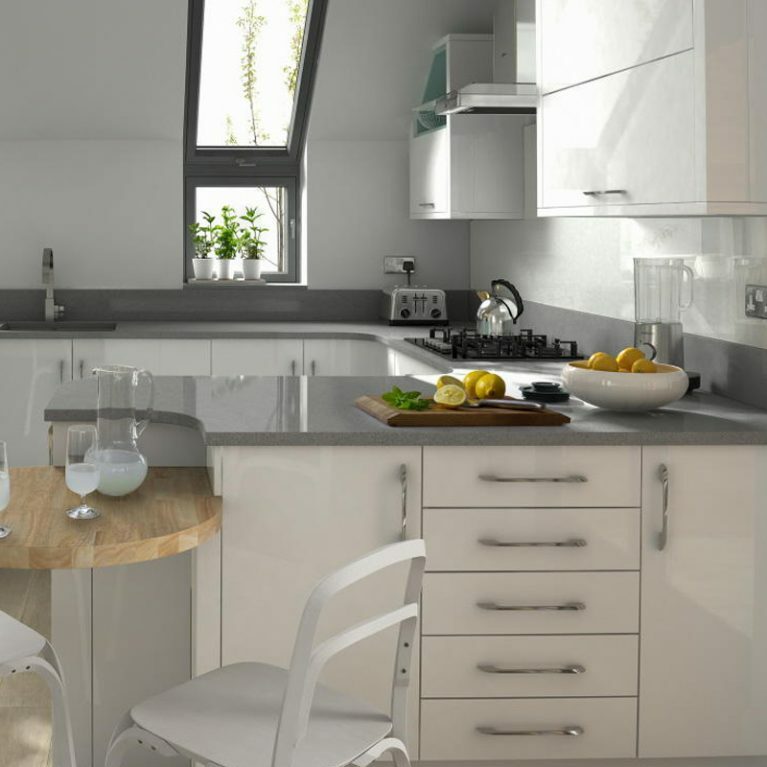 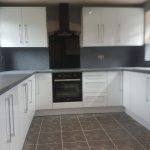 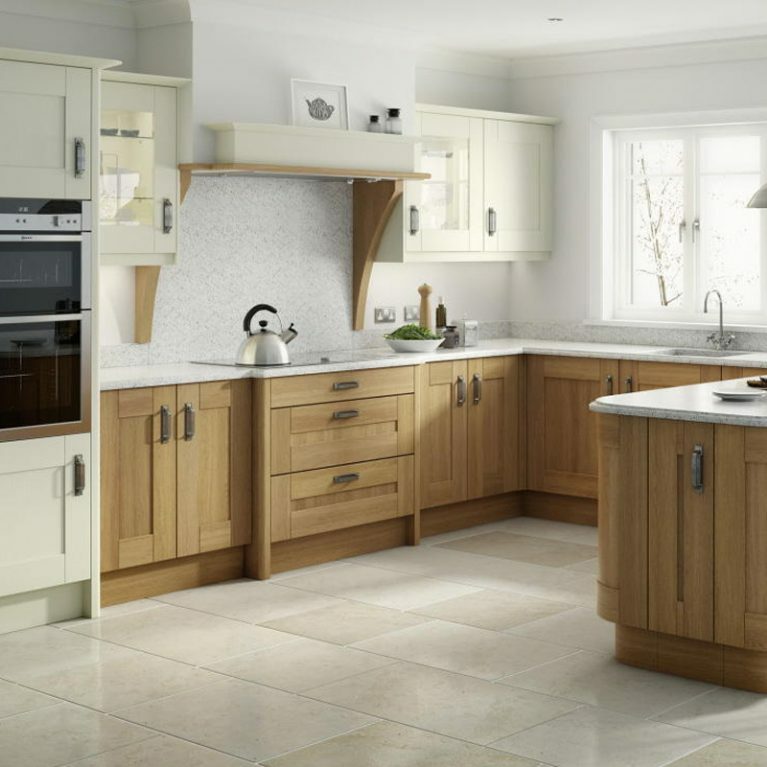 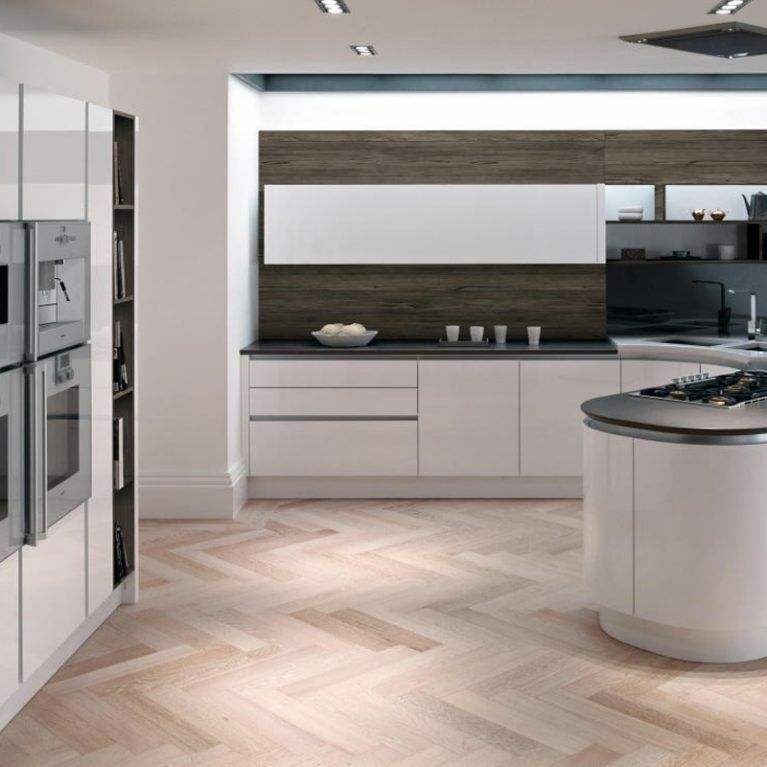 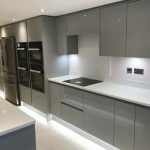 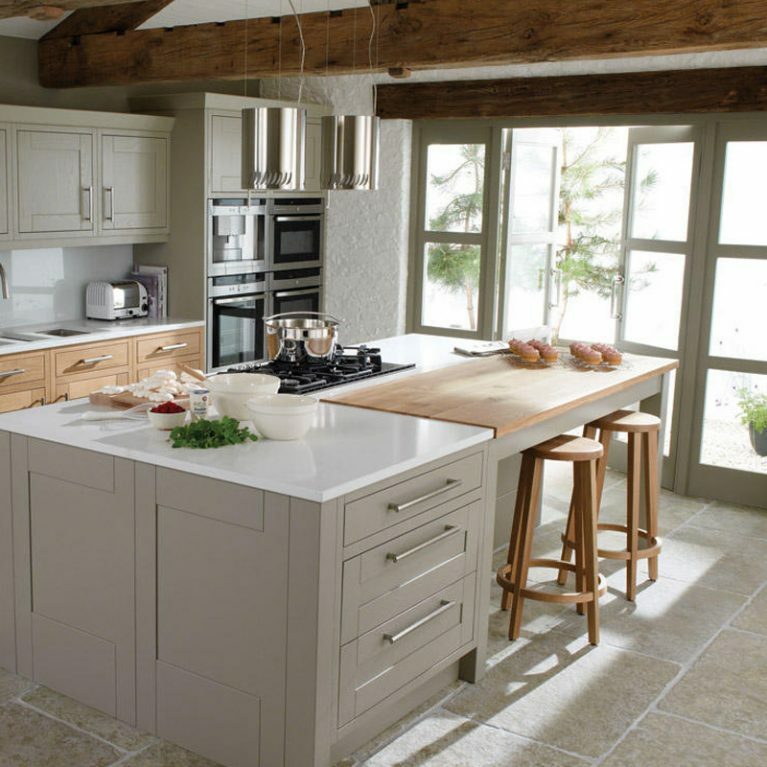 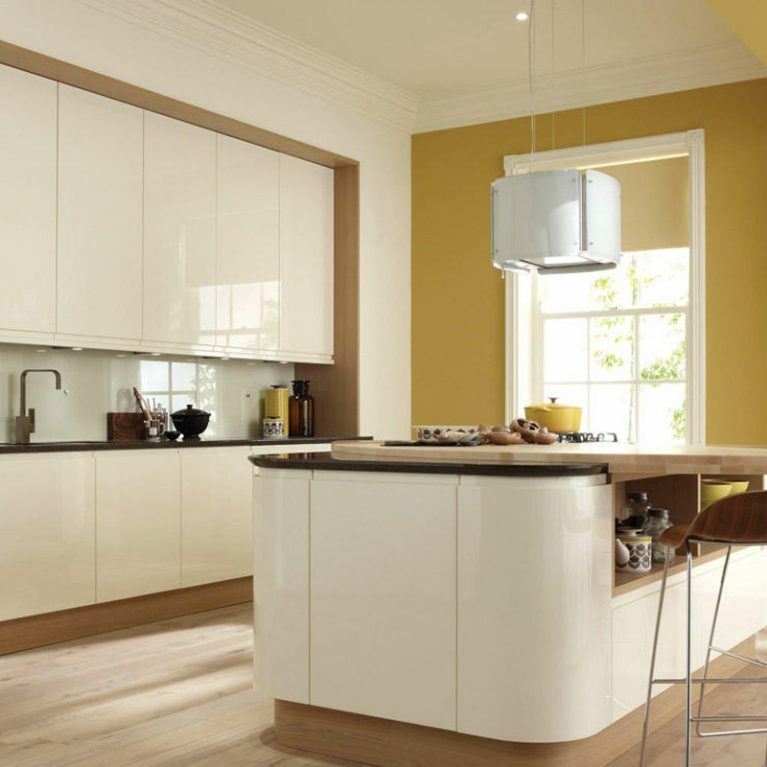 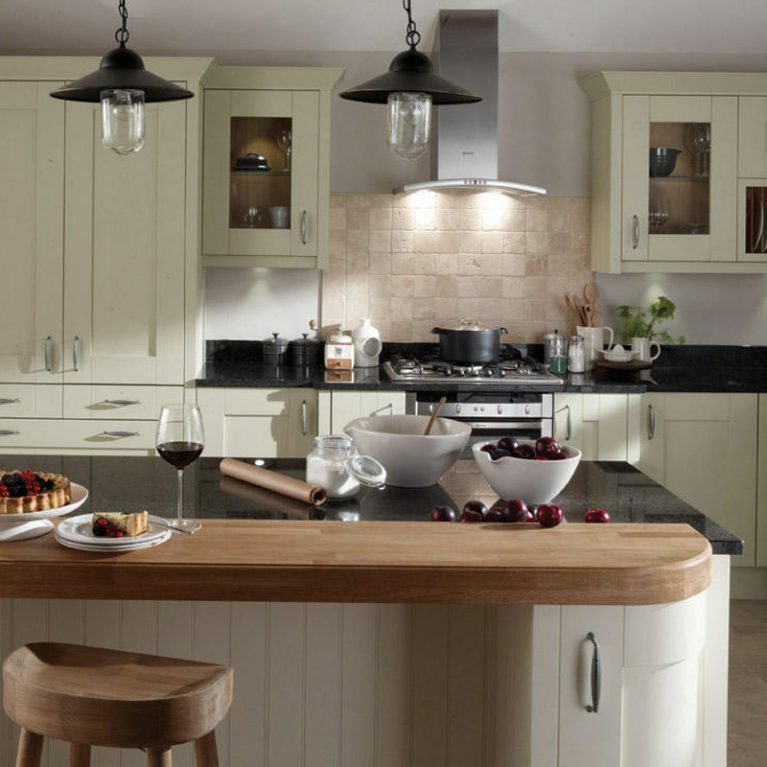 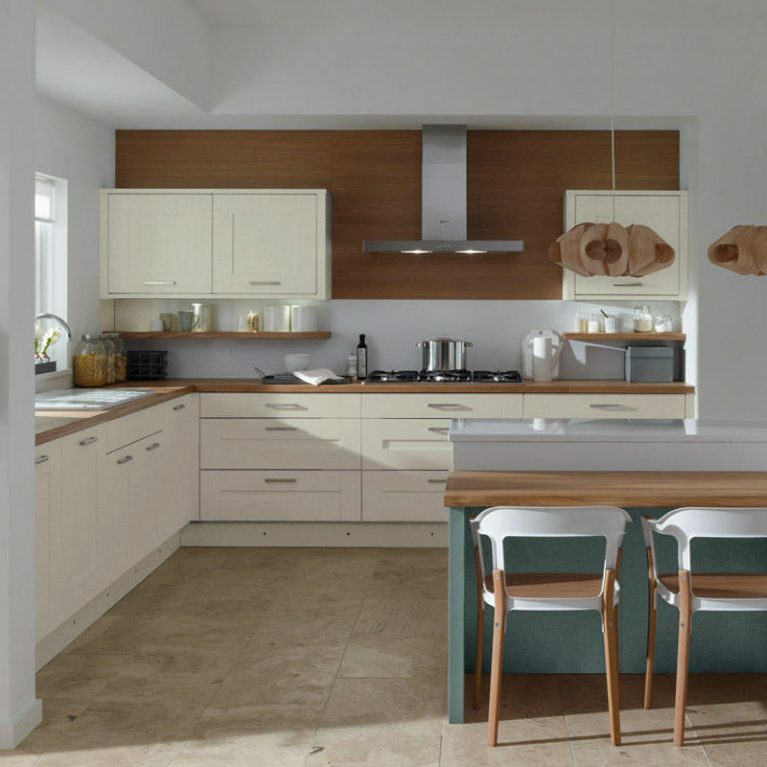 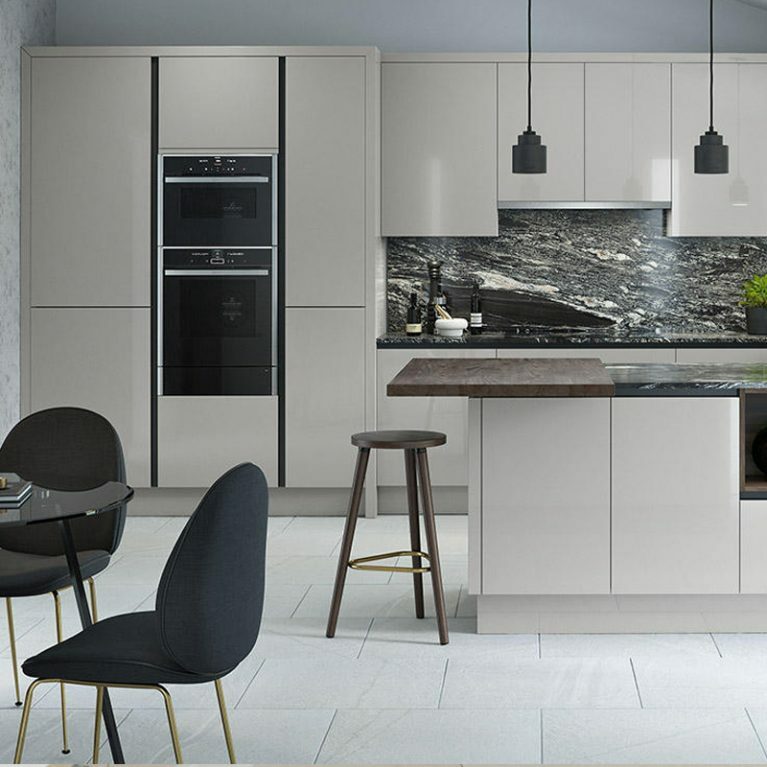 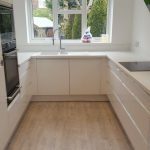 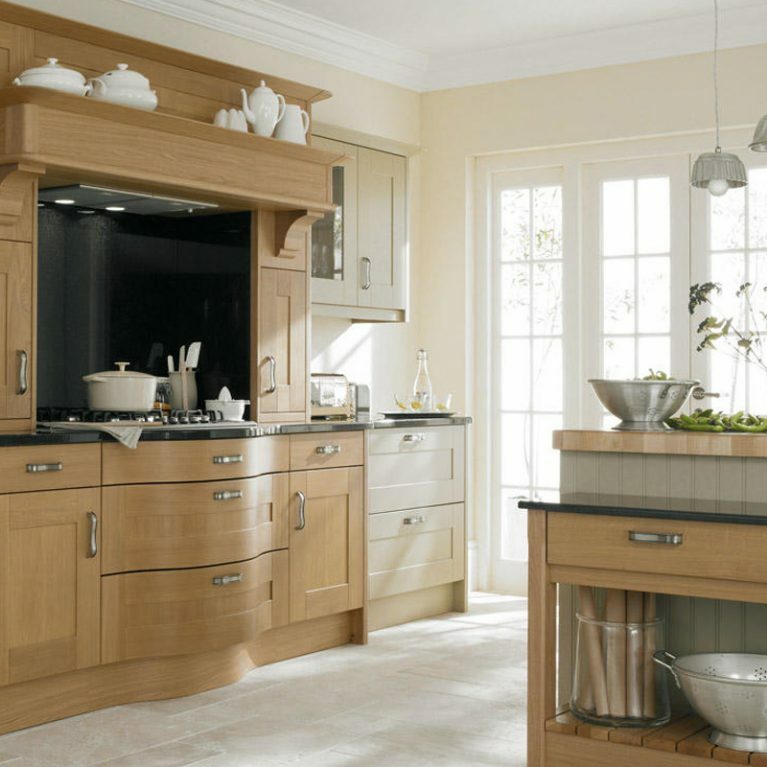 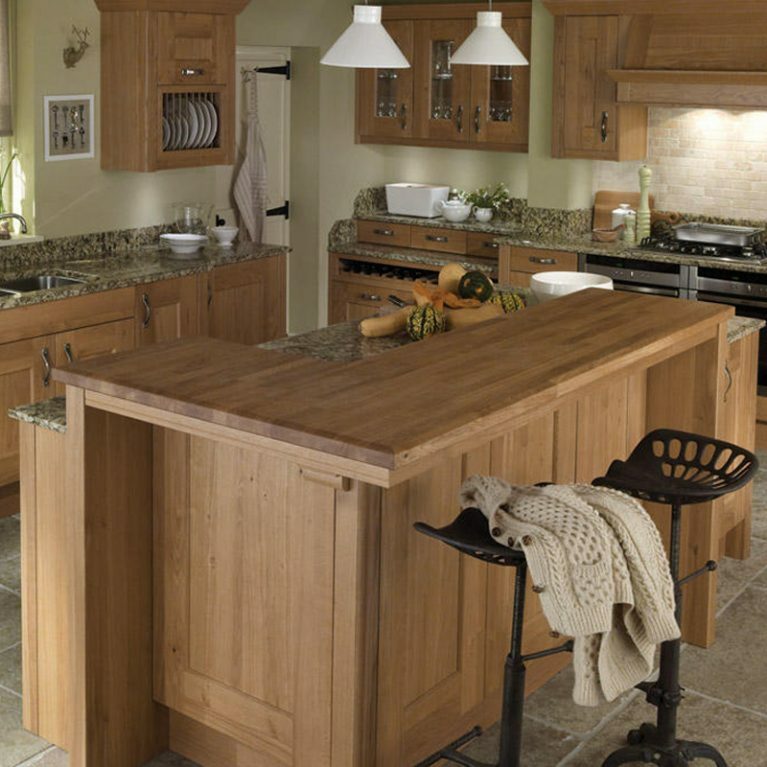 Number One Kitchens Manchester can help to ensure your Porter cashmere contemporary kitchen perfectly matches your wishes and our price match promise means you won’t find it for cheaper anywhere else on the web.